I am extending the stay in Bergen over the weekend. A good friend will join me on Friday November 21st and we will stay in a hotel for two nights. 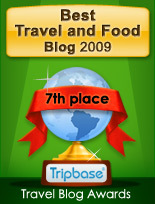 I have two favourite hotel reservation sites, www.hrs.de and www.venere.com. They offer booking, and do not charge your credit card in advance. They just make the reservation for you. The good thing is that it is both easy and profitable. 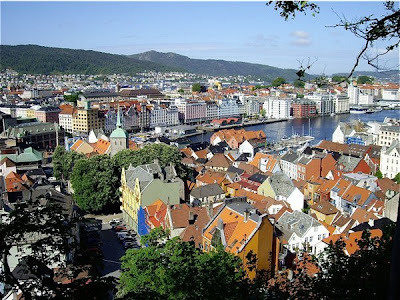 Bergen Travel Hotel is located in the downtown area, close to Torgallmenningen, the Main Street and historic sites as Bryggen, Bergenhus fortress and Håkonshallen, and there are many good restaurants nearby. At www.hrs.de I made a great deal. Only NOK 790 (90 EURO) for a room with two separate beds with breakfast, taxes and service charges included. This is certainly a great bargain for a down town hotel room. On the hotel website they offer special weekend rates from NOK 850 per night, but when checking availability on their site, the rate is a staggering 2360 NOK for two nights. So we saved 780 NOK on our booking over the hrs.de. This means one good dinner for free in Bergen! Maybe at Enhjøringen? I do look forward staying at this hotel, located in a classic 19th century building, newly redecorated with contemporary interiors. 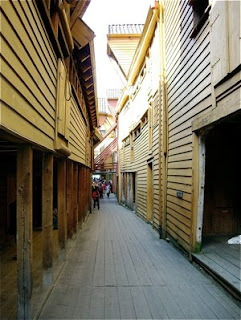 I will write a review so you will know whether it is as good as looks, or whether you should choose another location in Bergen. 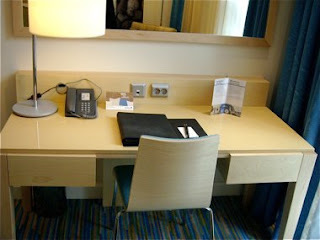 From November 20th to November 21st I will stay at Radisson Hotel SAS Norge, a more expensive hotel. Will it be worth the price? 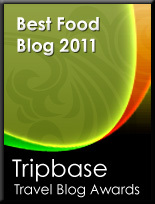 Stay tuned here on Enjoy Food & Travel. We’ll let you know.